There’s one awesome thing that comes along with fall and it’s seeing pumpkins everywhere. 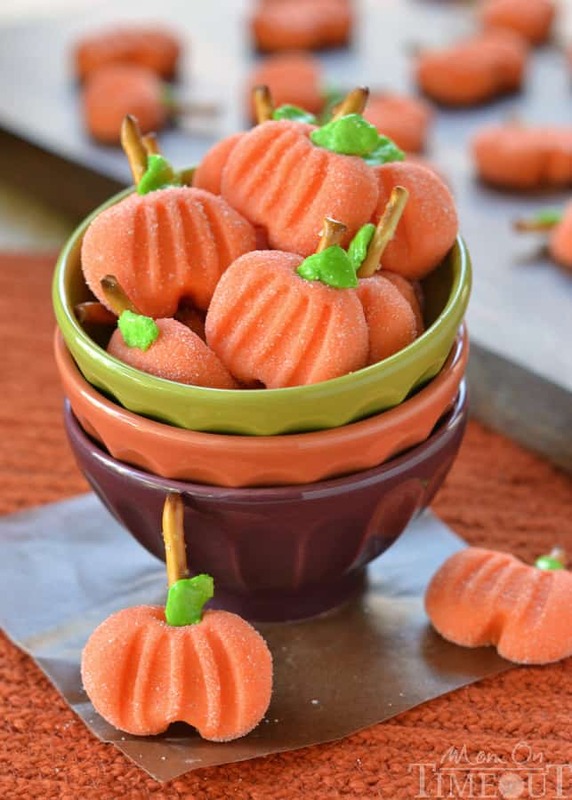 Pumpkin is one of those versatile ingredients that can be added to many baked goods, leading to moist and delicious treats with a familiar fall flavor that can’t be beat. 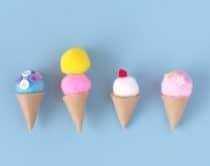 Go beyond pumpkin pie this year and try these new and creative pumpkin treats that the kids will love. 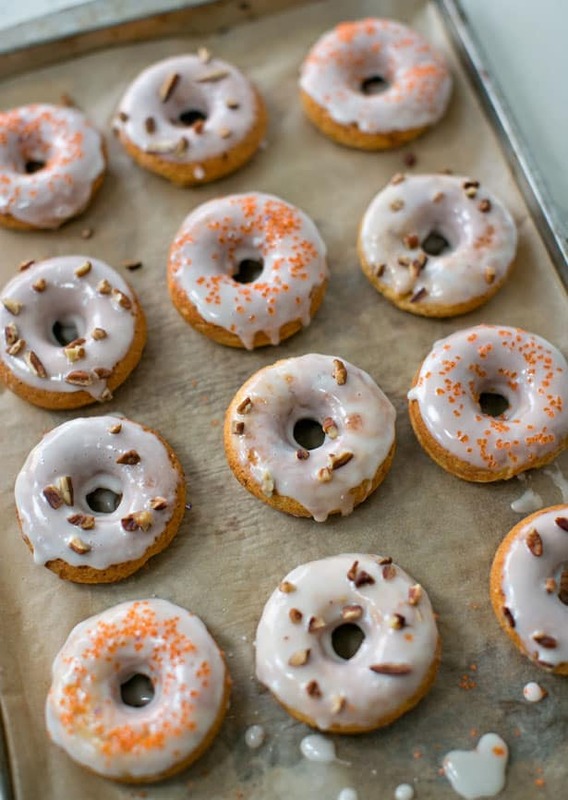 Turn a cinnamon cake mix into moist pumpkin donuts with an easy maple glaze on top. 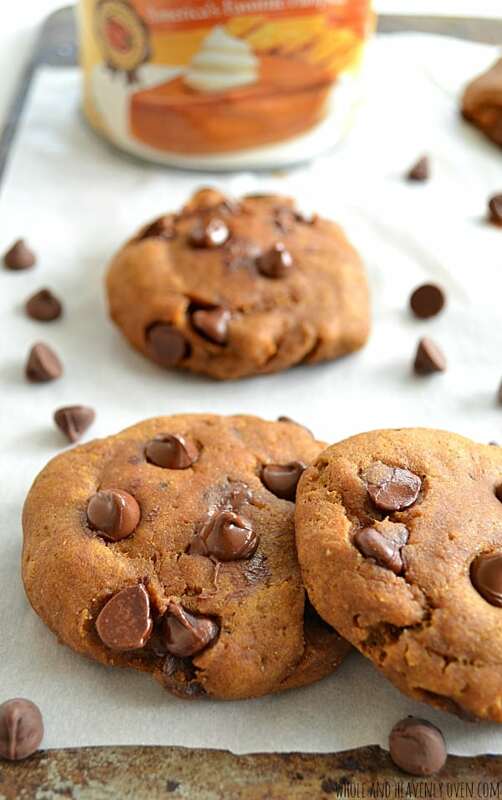 Take a classic cookie and give it a fall twist by adding pumpkin. This one’s made with whole wheat flour for a healthier take. 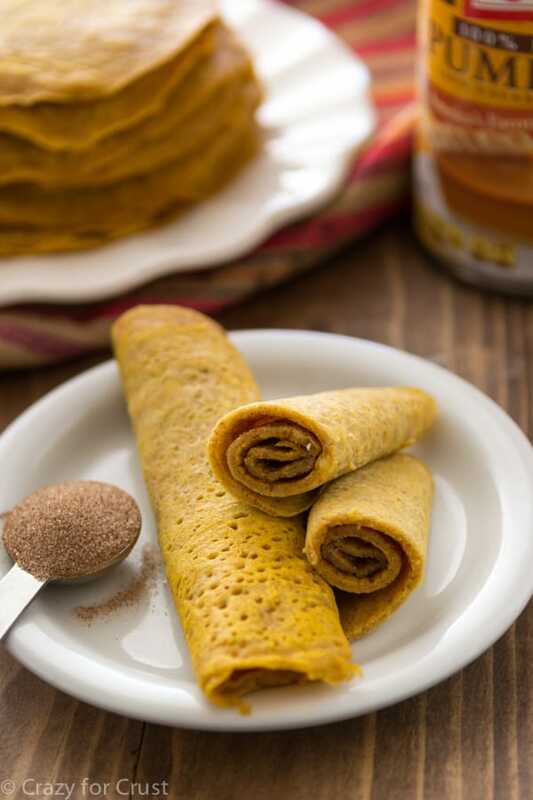 These easy pumpkin rolls aren’t as sugary as traditional desserts and make a delicious fall breakfast or brunch option. 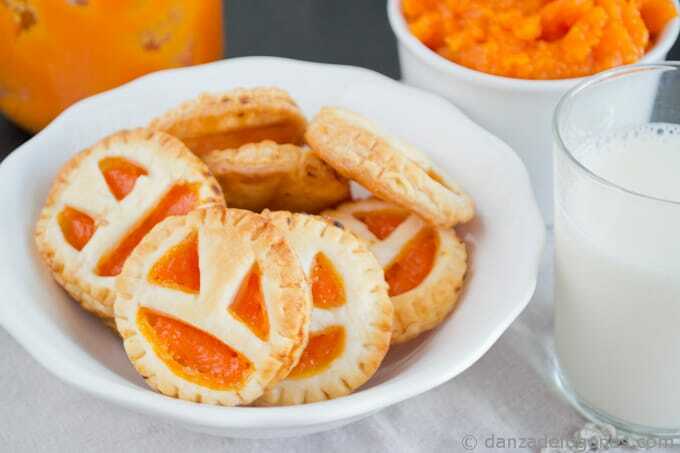 Use puff pastry to make cute Jack O’ Lantern faces in these yummy pumpkin jam stuffed cookies. 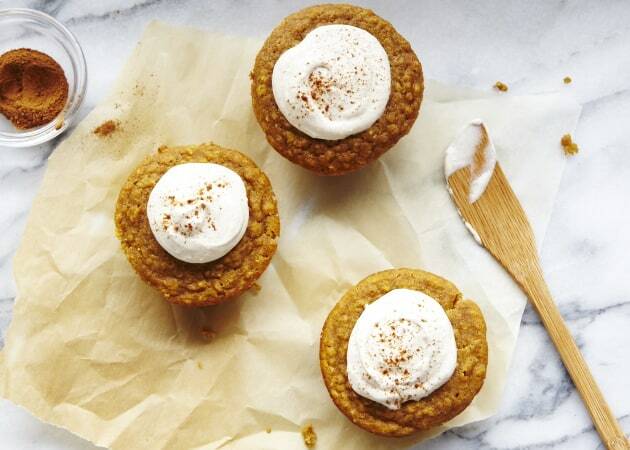 Everyone needs a good go-to pumpkin muffin recipe and these fit the bill. 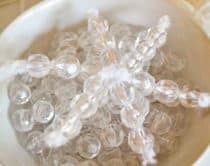 Made with healthy oats, they’re perfectly spiced as is or become a special treat with a light cream cheese spread. 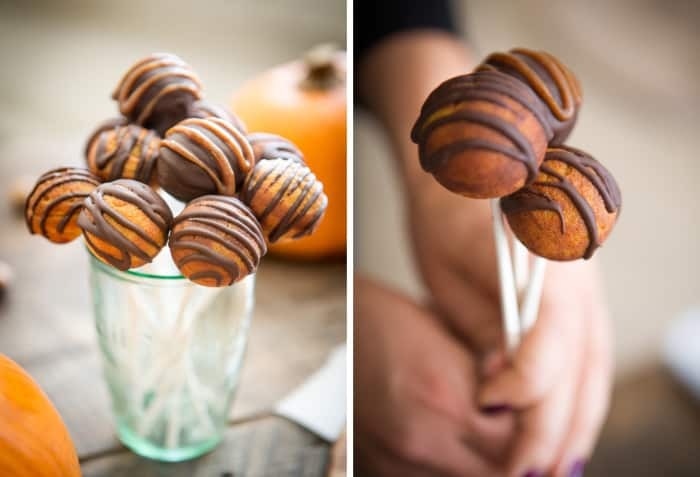 Here’s a creative take on dessert which turns pumpkin donut holes into cake pops! 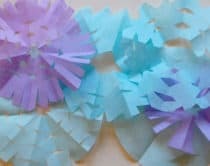 Drizzle with chocolate to make them more decadent. 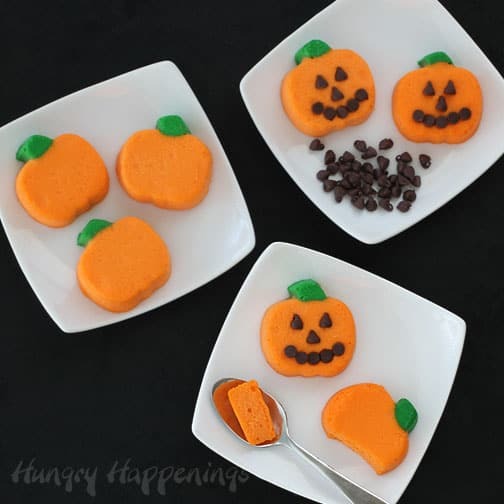 A pumpkin mold makes it easy to turn out these adorable individual-sized pumpkin cheesecakes. Kids will love the chocolate chip faces! 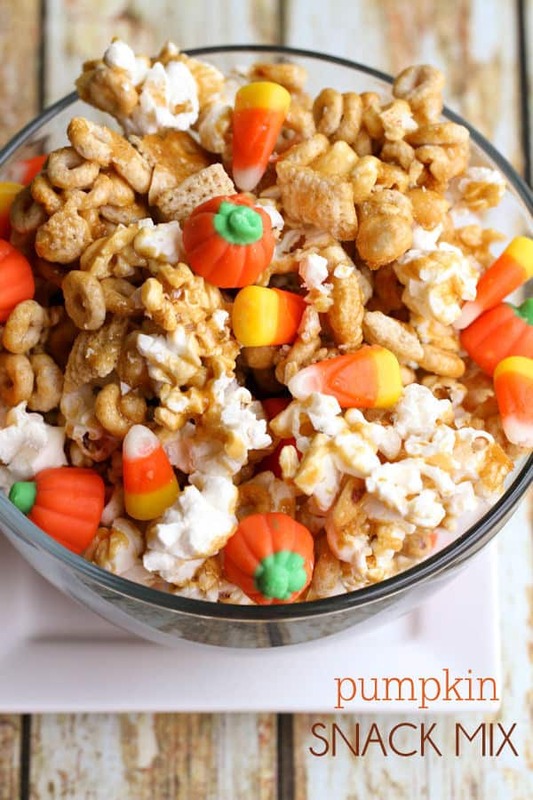 A delicious blend of popcorn and candy pumpkins that’s sure to be a hit at any fall or Halloween party among kids and adults. 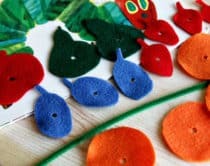 These easy, no-bake pumpkin patties are fun for kids to help shape. 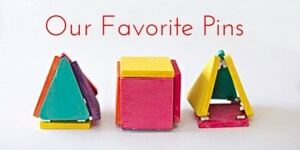 How cute are those pretzel stems?! 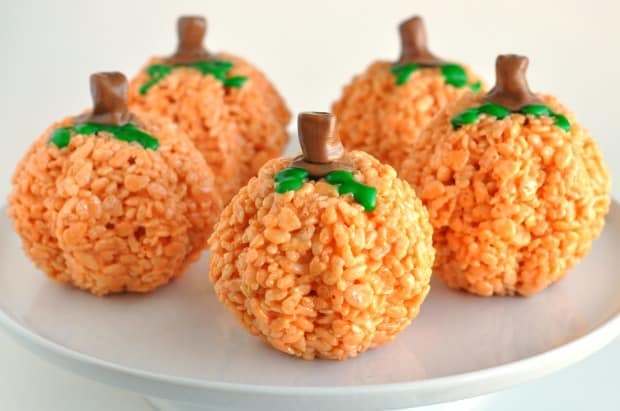 Turn your favorite Rice Krispie recipe into the cutest orange pumpkins that kids will have fun drawing faces on. 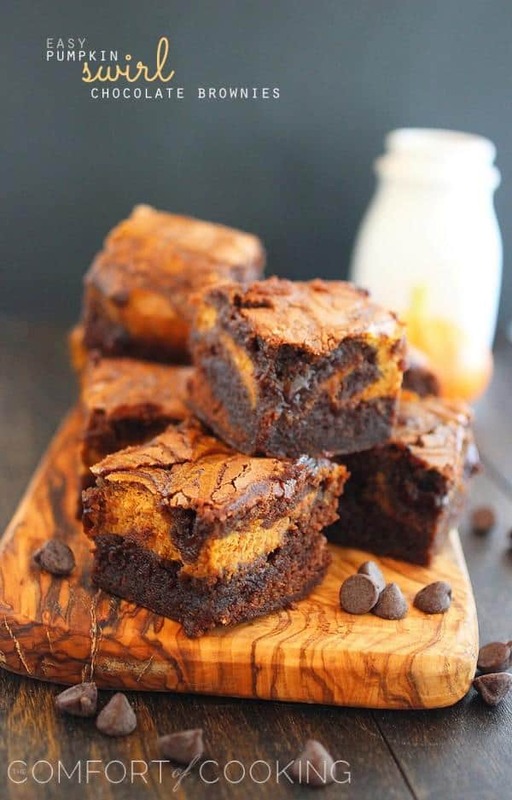 A brownie mix makes it super easy to bake up this moist pumpkin swirled chocolate treat. 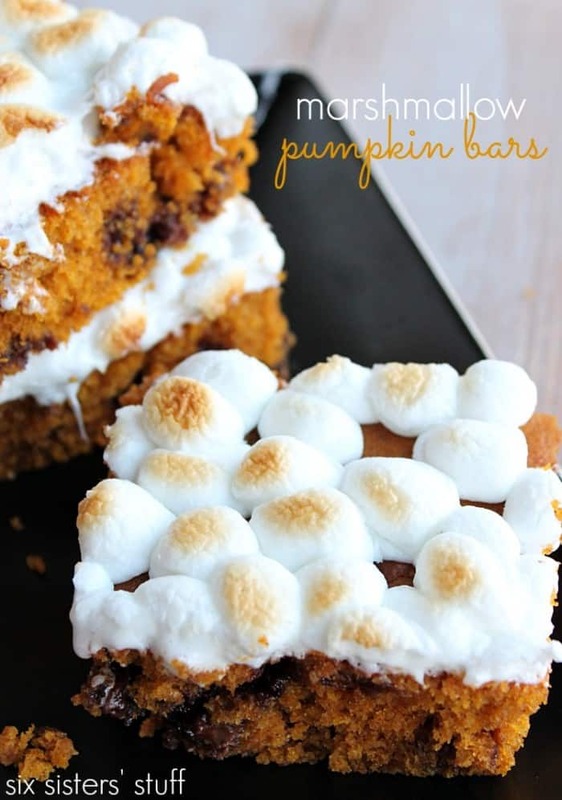 A super moist and delicious cookie-like bar, this is like a pumpkin Smore’s version with toasted marshmallows on top.